Let me start off this review by saying I don’t usually read romance – heck, it’s a genre I rarely ever connect with. But when the author sent me a copy of her book, I though it might be high time to give it a chance. And I was right: Caught on Camera was such a blast, and I enjoyed every minute of it! Did I mention it has a playlist? To achieve her dream of working on Hollywood film sets, star struck chambermaid Rachel Lehmann needs $35,000 for film school tuition by the end of the summer. When she’s asked to fill in for a missing bridesmaid at a movie star’s wedding and pretend to be the bride’s cousin, it’s her big chance to secretly take photos of celebrities and sell them to the entertainment media! Then Mickey, one of the groomsmen, sweeps her off her feet. Mickey McNichol, talent agent to the stars, believes everyone in show business is out for what they can get. When he falls hard for the bride’s “cousin”, he thinks he’s finally met a beautiful woman he can trust. But if Rachel betrays the wedding party, Mickey will ensure she never works in Hollywood. Rachel needs a whole lot of money if she’s ever going to get into her first choice film school in LA – a problem that’s so wholly relatable to other New Adults like this reader right here. I remember looking up how much money I could make selling my kidney. Rachel’s smarter though – she gets a job working the summer at a hotel in Muskoka, sneaking snaps of celebrities she hopes she can sell to reach her financial goal. But when a bridesmaid fails to turn up at the huge, star studded wedding that had rented out the hotel for the weekend, the bride needs Rachel to go from maid to bridesmaid in a flash. This gives Rachel a fantastic opportunity to sneak pictures of the event. What she didn’t count on was love at first sight. When she meets Mickey, there’s an instant attraction – but what if he learns her secret? 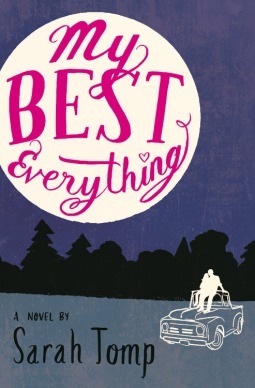 Sure, there are a whole lot of clichés and tropes in this novel… but it’s a Rom Com! And it will have you laughing out loud, let me tell you. You have a bridezilla with a temper; a tiny, very needy dog; a comedy of errors as Rachel’s luck flip flops all over the place. And, of course, you have the couple you want to root for so much you could burst. I think what holds me back when I read romance is the suspension of disbelief. A lot of things happen by ‘coincidence’ which are a little too convoluted. And we have a lot of coincidences in this novel that made my eyes roll… until I started to really get into it and want Rachel and Mickey to end up together. After the climax of the novel, as we push for resolution, I found myself thinking of how perfect this ending was, how much I wanted every second. I realized that the author had fully managed to reel me in, despite my annoyances with Rom Coms! I closed the book thinking how brilliant of a movie this would be, with butterflies in my stomach and a craving for chocolate. I think what sold me was Rachel. She’s so relatable and fun! I love her ethical dilemma, I love the classic makeover scene, I love watching her fall for Mickey. She’s a perfect stand in for the reader. Oh, and did I mention this novel comes with its own soundtrack? You listen to the playlist at key moments and are sucked right in! So unique! The playlist itself is perfect even without the book, great songs to listen to on repeat. So while I’m not a big fan of the genre, I’m still a huge fan of this book. Perfect feel-good weekend read! Pick up your copy right here! Romance and moonshine make for a good novel. Sweet, smart, and positively gripping, I would describe My Best Everything as a teenage Breaking Bad, and it is just as addicting. It is also possibly the most believable YA romance I had read in… well, quite possibly ever. While primarily a romance, what I feel sets this novel apart is the fact that Lulu doesn’t make Mason her primary focus in life. Mason is not the usually ‘dreamy brooding teenager’ that you usually find in YA: he’s older than she is, a high school dropout, and struggling with alcoholism. She doesn’t drop everything when she meets him, her life doesn’t radically change: no, her relationship with Mason is something that grows naturally, and you feel the chemistry between them; it does not seem forced or unhealthy. The novel manages to be a romantic, without being a romance novel, making Mason important to Lulu’s growth. And yet, this romance is not what defines Lulu: Lulu defines Lulu. There is just something fantastically appealing about driven characters. When I first picked up this book, I immediately felt Lulu’s drive, her determination to reach her goal, and it made her just so reachable. Lulu is a smart young woman, and this is her coming of age story, her experience with alcohol, men, and money. She was entirely relatable – for me, a whole lot more than I would like to admit – and everything she did was with one goal in mind: raise the money for university. The story itself is a letter to Mason, so he is always addressed in the second person, always referred to as “you,” “you did this” “you did that”. The letter format made the entire novel seem more honest and intimate, which only added to the list of reasons I could not put it down. It was an entirely realistic look into their lives, and I was hooked. Not to forget the moonshine. Moonshine! Lulu’s adventures in distillery are fascinating to follow. Her friends too have an interesting dynamic, both with her and each other. Their problems are just as real as Lulu’s, and the reader is drawn into their lives as well. They break the stereotypes of small town, southern Americans. Though they do enjoy the occasional potato chips in ice cream. I loved this book. I felt an instant connection to Lulu; I loved the moonshine; and I respected her relationships. It is a novel about love, betrayal, ambition, and the tough choices. Come for the moonshine, stay for the character development; you will be intoxicated.